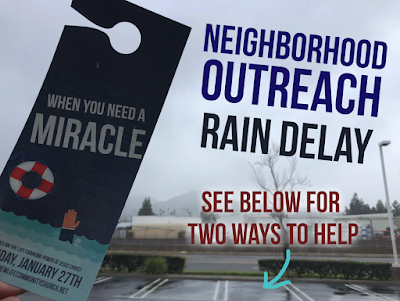 Hey Members - We planned to pass out doorhangers this evening, but due to the weather our event will result in a bunch of soggy door hangers, and a bunch of soggy church members. We are still committed to reaching out, so we are shifting to plan B, and we need your help. Here’s two ways you can play a part. 1) Grab 15 doorhangers on Sunday. Grab a handful of doorhangers this Sunday and place them on doors in your neighborhood. If each church member took 15 door hangers, it would be a great way to help get the word out. It won’t take more than 10 minutes to pass them out, and you don’t even have to talk to your neighbors (if you don’t want to!). The door hangers will be on the lobby tables and at the information center. 2) Join us next Wednesday night at 7:00 pm. If you would rather go as a group, we are tentatively rescheduling our outreach for next Wednesday, January 23rd. If you plan to come next Wednesday, please let us know ahead of time so we can communicate any last minute changes. For example, if all the flyers are taken on Sunday, or there is more rain, we may need to change the Wednesday outreach. 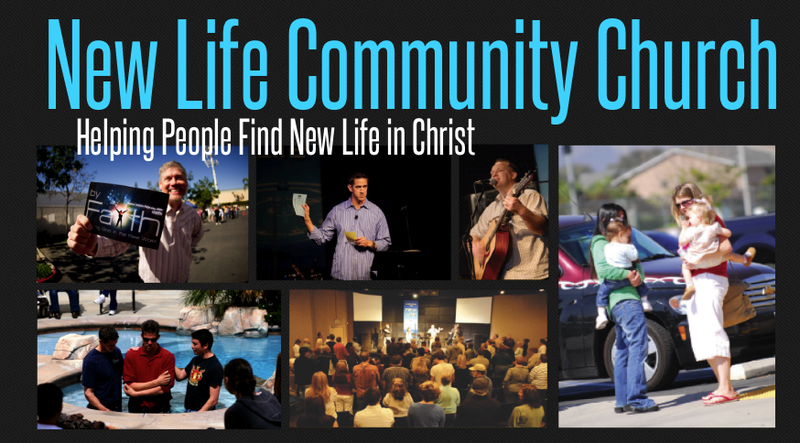 You can let us know you plan to attend on the 23rd by emailing info@newlifecommunitychurch.net. Thanks for your help, and please pray that Christ will change lives through the efforts of our church! P.S. If you know anyone who was planning to come tonight, but didn’t sign up, please let them know of the change of plans.